The origin of the Ache Group and the Ache Engineering GmbH is in the precision engineering in a traditional family company located in Leun in middle germany. Ernst-Günter Ache, Dipl.-Ing. (FH), decided early to help in the parental company and to work as an engineer. In 1997 he established Ache Engineering and became one of the publicly appointed and sworn experts for photovoltaic systems in Germany. 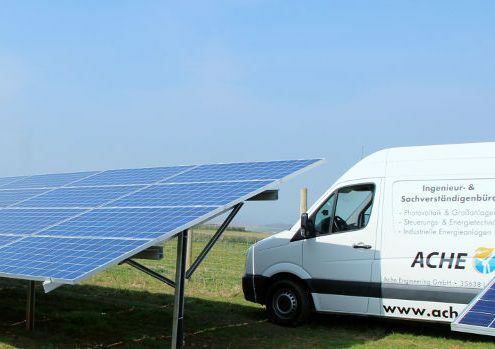 Ernst-Günter and his team of experts in the fields of electrical and mechanical engineering and CAD plant construction are perfectly fit for the solar and photovoltaic technology. 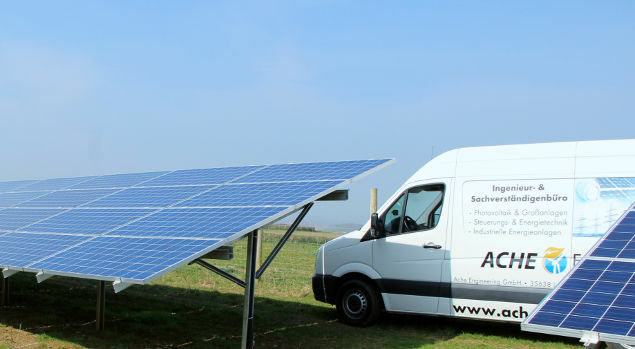 By combining all these skills, the company, since 2007 as Ache Engineering GmbH, is a well competent partner for the planning and realization of efficient and/or independent photovoltaic and solar systems with the focus on international special-solutions stabilization systems. With more than ten employed experts and appraisers and over 200 possible freelancers in Germany and all around the world, there is always a solution or more for nearly every problem or complicated condition. The main aim of the company is finding and executing the most efficient implementation of photovoltaic systems, as far as new and renewed sytsems go. The Slogan “Efficency and Sepcial-Solutions”, which was coined in 2007, is still our work ethic till this day. Therefore, the core competence of the company lies within the worldwide special solutions that we offer in the field of renewables and especially in the field of photovoltaic. With our team of experts for special-solutions, we are a proud partner of many companies around the world that also help in making our world a greener, cleaner and healthier environment with every plant we build together.